Read about Karen's collaborations with other innovative British brands and designers. A dynamic group show, held during London Design Festival 2015. Hosted by Craft Central Gallery in the heart of the Clerkenwell Design Quarter, Karen was one of seven designers presenting a diverse range of art, objects and accessories. 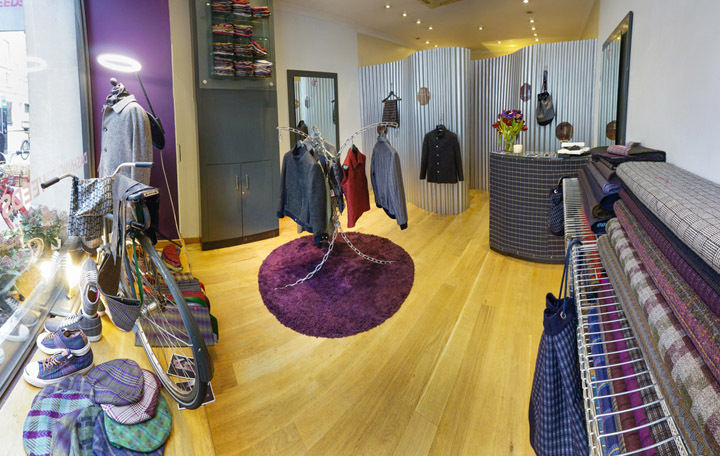 Making waves in the world of tailoring, Dashing Tweeds has been a long-standing partner, with their wonderfully modern and vibrant tweed designs providing the perfect fabric for Karen's iconic Windswept Flat Cap, and more recently for Cavendish, a fedora style hat. Previously, Karen has had the privilege of working with fashion designers and brands as diverse as Michiko Koshino, J Lindeberg, Heatherette, Gavin Douglas, Edward Sexton, Hussein Chalayan and Ports 1961.